Jihadists are restive about the lack of an announcement of a successor to Osama bin Laden, an al Qaeda analyst says. (CNN) -- Osama bin Laden's sudden elimination created a leadership void for al Qaeda, setting up a possible power struggle involving the organization's various factions, CNN sources and analysts say. After the May 2 attack by U.S. special operations forces that killed bin Laden in his Pakistan compound, a "caretaker" leader was chosen by several al Qaeda leaders in the Afghanistan-Pakistan border area rather than the group's formal shura council, according to an expert on the organization. At the same time, the group's Yemeni wing -- al Qaeda in the Arabian Peninsula -- is trying to position itself for greater power and influence in the aftermath of bin Laden's death, a U.S. official told CNN on Wednesday. 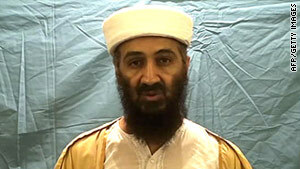 "They are using the death of bin Laden as a way to bolster their own image," the U.S. official said. The source declined to be identified because of the sensitive intelligence information that led to this assessment. It all signals some disarray and operational difficulties for al Qaeda in the immediate aftermath of bin Laden's killing. Al Qaeda's interim leader is Saif al-Adel, who has long played a prominent role in the group, said Noman Benotman, an analyst who is a former leader of the Libyan Islamic Fighting Group that once aligned itself with al Qaeda. Benotman knew the al Qaeda leadership well for years before the September 11, 2001, terrorist attacks on the United States. Benotman said based on his personal communications with militants and discussions on jihadist forums, al-Adel had been chosen interim chief of al Qaeda because the global jihadist community had grown restive in recent days about the lack of a formal announcement of a successor to bin Laden. According to Benotman, this was not a decision of the formal shura council of al Qaeda, because it is currently impossible to gather them in one place, but was rather the decision of six to eight leaders of al Qaeda in the Afghanistan-Pakistan border area. Al-Adel, also known as Muhamad Ibrahim Makkawi, was already one of the top leaders of the group. At the same time, Benotman said, bin Laden's top deputy in al Qaeda, Ayman al-Zawahiri, remains the most likely successor to bin Laden. However, some questions persist about whether al-Zawahiri will receive the loyalty oath, or baya, that al Qaeda commanders swore to bin Laden. A senior U.S. official told CNN on Wednesday that there is "absolutely no information at this time that points to a definitive succession plan" for al Qaeda. The official could not rule out that al-Adel was given the interim position, but said there was no intelligence so far to confirm it. In addition, the official said, the notion of al Qaeda choosing an interim leader was "strange," as the organization was believed to have rigid rules involving its leadership. While al-Zawahiri is presumed to be the next leader, that succession doesn't appear to have happened yet, the official added. Al-Adel is an Egyptian who was once a Special Forces officer and has long played a prominent role in al Qaeda, according to Benotman. The choice of an Egyptian may not sit well with some Saudi and Yemeni members of al Qaeda, who believe bin Laden's successor should come from the Arabian Peninsula, a region that is holy to all Muslims, Benotman noted. Bin Laden was from a wealthy Saudi family. Al-Zawahiri is also Egyptian, and Benotman said the temporary appointment of al-Adel may be a way for the leadership to gauge reaction to the selection of someone from beyond the Arabian Peninsula as the group's leader. Al-Adel fought the Soviets in Afghanistan during the 1980s. After the fall of the Taliban in winter 2001, he fled to Iran. According to senior Saudi counterterrorism officials, al-Adel then authorized al Qaeda's branch in Saudi Arabia to begin a campaign of terrorist attacks in the Saudi kingdom that began in Riyadh in May 2003, a campaign that killed scores. Some reports in the past year have suggested al-Adel had moved from Iran to Pakistan. However, the senior U.S. official said there was "nothing definitive" to indicate al-Adel had left Iran, which has said al-Adel was held under house arrest in the country. The U.S. official said al-Adel's involvement in al Qaeda operations has been limited over the years, but he was far from "retired," having some influence over the organization's activities while living in Iran. Al-Adel initially opposed the 9/11 attacks on the United States as a strategic misstep that would make al Qaeda the focus of global anti-terrorism efforts, said Juliette Kayyem, a former assistant secretary at the U.S. Department of Homeland Security. Kayyem said al-Adel eventually returned to bin Laden's fold after going to Iran. A key issue for al Qaeda amid the leadership question is the fallout from large quantities of sensitive information recovered by U.S. forces at the compound in Abbottabad, Pakistan, where bin Laden was killed. U.S. officials have indicated the information could prove damaging to al Qaeda operations. By naming an interim leader, al Qaeda can begin the process of collecting allegiance, or baya, from al-Qaeda affiliates such as al Qaeda in the Arabian Peninsula and the North Africa-based al Qaeda in the Islamic Maghreb. Baya was a religious oath of allegiance to bin Laden rather than to the organization itself, in the same way Nazi Party members swore an oath of fealty to Hitler rather than to Nazism. That baya must now be transferred to the new leader. However, there is scant evidence that al-Zawahiri has the charisma of bin Laden or commands the respect bordering on love that al Qaeda members held for their slain leader. Al Qaeda affiliates such as al Qaeda in the Arabian Peninsula also have yet to swear loyalty to al-Adel. According to the U.S. official who spoke about the group, there are indications al Qaeda in the Arabian Peninsula is sending messages and issuing statements using bin Laden's death as a rallying cry to seek money, recruits and any resources it can get. "They are definitely trying to take advantage of the situation," the U.S. official said, adding: "They are clearly trying to improve their capabilities," as they were even before bin Laden's death. The United States has long felt al Qaeda in the Arabian Peninsula is a growing threat. One of its leaders, the American-born Yemeni cleric Anwar al-Awlaki, has inspired attacks against America and its interests. On another issue, bin Laden's death presents an opportunity for the Taliban to disassociate itself from al Qaeda, as required by the U.S. and Afghan governments for the Taliban to take part in peace talks. Bin Laden swore an oath of allegiance to Taliban leader Mullah Omar sometime before the 9/11 attacks. Omar could now take the position that the new leader of al Qaeda does not need to swear an oath of allegiance to him as commander of the faithful. Such a move could be considered a Taliban rejection of al Qaeda, something it has yet to do.